We all like the convenience of having things near us – a short drive to work, family and friends nearby, and the services we need close to home. RUKO Precision Tools uses that same philosophy in providing great service to its customers. RUKO stays close to its customers as well as its employees to ensure the company is ready to meet their needs in a timely fashion. RUKO OHG was founded in 1974 in Böblingen, Germany by Josef Ruppert to produce countersinker drill bits, twist drills, and tube and sheet drills. In 1980, the company was reorganized into RUKO GmbH Precision Tools but maintained its focus on the manufacture of drilling and cutting tools. In 1990, the company moved its operations to Holzgerlingen, Germany near Stuttgart where it remains today. The modern building houses the company’s administration and manufacturing facilities. The production facilities include 28 fully automated CNC grinding machines that provide maximum precision in the manufacture of drills and cutters. This is one of the most technologically advanced production methods available. As the company grew, it made a commitment to remain close to its customers. As a result, RUKO opened additional operations throughout Europe and the United States, including the Czech Republic, United Kingdom, France, Denmark, Turkey, and the state of Georgia in the United States. While the operations and manufacturing facilities remain in Germany and the Czech Republic, the other offices are focused on sales and distribution so RUKO can be near its customers. Cutting tools were some of the first tools that humans used in the Early Stone Age 2.6 million years ago. People discovered that sharp stones could be used to make “cuts” in other materials. Then, the knife, scythe or sickle were fashioned as some of the original wedge-shaped cutting tools. The idea of a drilling tool, or awl, began to be used approximately 250,000 years ago when humans used rocks spun around by hand to make a hole in another object. Later on, rotary drills were fashioned to help make fire. Although the need for human tools is an ancient one, the cutting tool industry in today’s world is diverse in its products and precise capabilities. However, even with today’s technology, reliable cutting tools still must provide the user with hardness, toughness, and wear-resistance just like in ancient times. Today, the cutting and drilling industry manufactures accessories for hand tools and machinery such as step drills, twist drills, annular cutters, and tungsten carbide hole saws. With the use of increased technology, automated manufacturing of these products has changed the industry demanding higher quality cutting tools and increased production cycles. RUKO’s production takes place in Germany and the Czech Republic with specific products assembled in each operation. In addition to its manufacturing plants, RUKO has carefully positioned its subsidiaries throughout the world to easily access its customer base. Having offices located close to the customer is just the beginning of RUKO’s commitment to providing the very best quality and service. The company also maintains a unique corporate structure that allows employees to work close to each other as well. RUKO is a “flat” organization without many different levels or hierarchies. Such a structure can operate in a lean fashion with decision making remaining close to the customer. Many leading HR experts agree that maintaining a flat organizational structure promotes active employee involvement and encourages decision making. Without the multiple layers of management, the employee closest to the customer is then allowed to make decisions quicker and more efficiently providing a streamlined approach to customer requests, orders, and service. With its future plans in place, RUKO will continue to stay in proximity to their customers – a path that has served them well during the past 35 years. 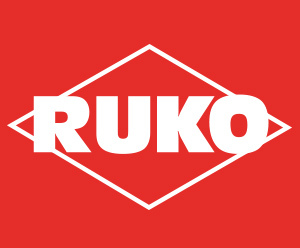 As one of the world’s leading manufacturers of drilling and countersinking tools, RUKO considers itself as a European company with an international orientation. However, even with their global reach, RUKO will always be found close to their customers as they continue to serve them with the company’s unique structure and customer-focused strategy.